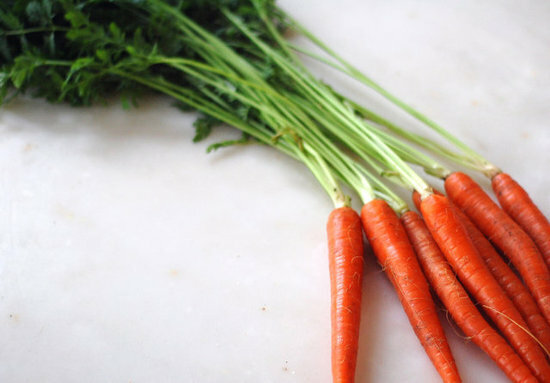 I’ve said it before and I’ll say it again: when you’ve got really great seasonal produce, you don’t have to do much to create a standout dish that perfectly complements a meal — luckily, carrots are basically always available fresh. The slightly sweet flavor of carrots is a fresh counterpart to a meaty main course, so why cover it up in heavy sauces or turn it into something else entirely? 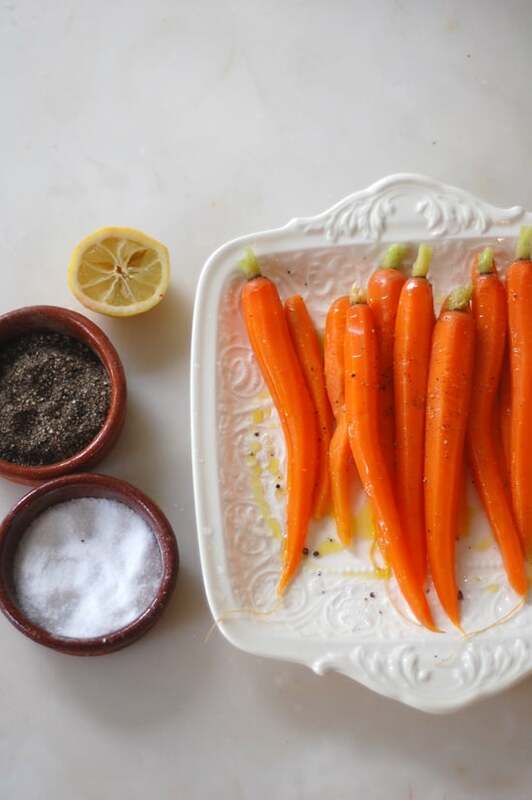 What’s more is that this preparation of carrots is not only visually appealing, but it’s also incredibly fast and easy. 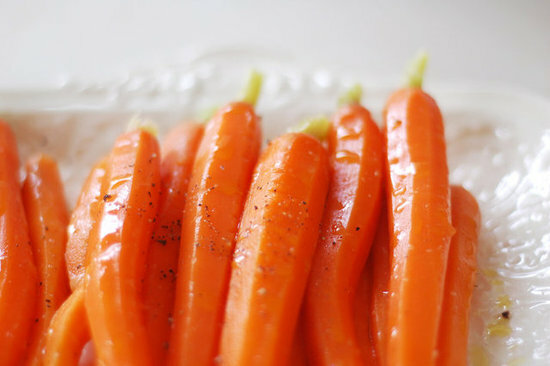 Get your hands on some smaller carrots with the tops on for easy steaming. Leaving a little bit of the green tops on the carrot (a half inch or so) makes a beautiful presentation filled with color. You’ll be surprised what this small step does for the overall aesthetic of the dish. I like to steam these until they are just tender enough to be pierced with a fork, but still have a little bit of bite to them. 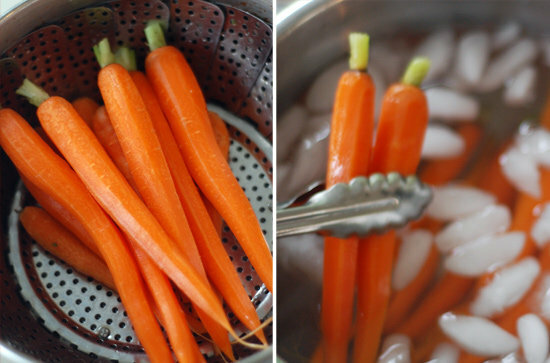 Immediately dunking your perfectly steamed carrots into an ice bath stops the cooking process and preserves the bright color and fresh flavor. 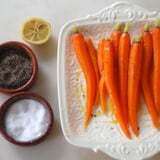 A sprinkle of salt and pepper and a drizzle of olive oil and lemon juice enhance the flavors of the carrots, and you’ve got a simple and fresh side dish that is full of color and flavor.